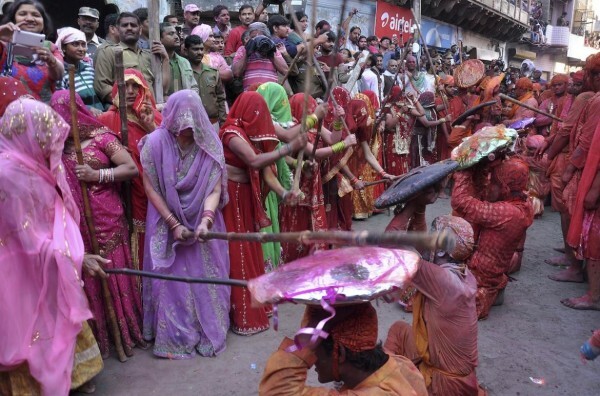 India has a major festival at the end of winters called HOLI. The modern equivalent it is as Love Celebration for all. As all festivals signify the Victory of Good over Evil – it may take time to prove that ultimately Good has to prevail over evil. It may be understood by saying it is celebration of Love, fun and frolics with Love towards and all and with malice toward none. Anyone and everyone participates in the fair fun, game, friend or stranger, rich or poor, man or woman, children and elders. It is free for all, as long as one is fair and joyful towards others – they need not to worry or mind but to participate. The exceptions are made to those who have had recent bereavement in the family and still in the recovery mode. Everyone plays, chases and colours each other dousing with dry powder and or coloured water, with some carrying water guns and coloured water-filled balloons for their water fight. One can take liberty to colour the friends, relatives, any known or unknown in good faith. Groups carry drums and musical instruments, go from place to place, sing and dance in their localities. Couples can show off their attachment in public without overdoing. The story goes like that in times bygone HOLIKA (the aunt who is Fire proof by virtue of God’d blessing ) is to ensure to char her nephew Saint PRALAHAD but burns herself out by wrongly wearing the fireproof dress inside out. 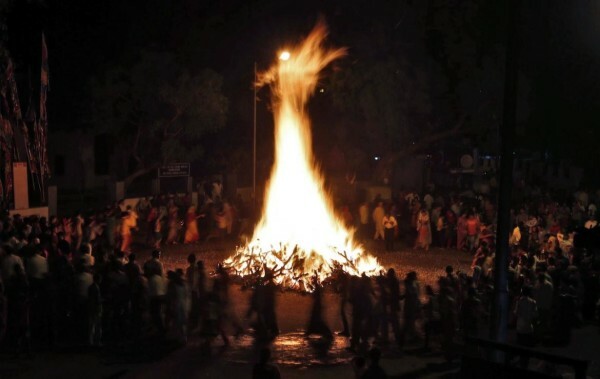 Holi celebrations start with a HOLIKA DAHEN bonfire on the night before Holi where people gather, sing and dance for victory of good over evil. Cultural programs and Musicals Night and Poetic Courts ABOUND amongst the COUNTRY side masses of India celebrate this festival by feasting. All sorts of jokes, lively skits and current affair topics are discussed – specially the politicians are made fun of . 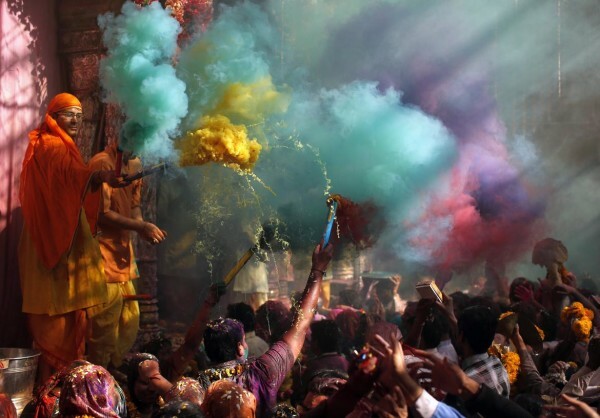 The following day (Holi) starts with throwing organic colours or water based colours on one and all. The festival has, in recent times, spread in parts of Europe and North America as a spring celebration of love, frolic and colours.